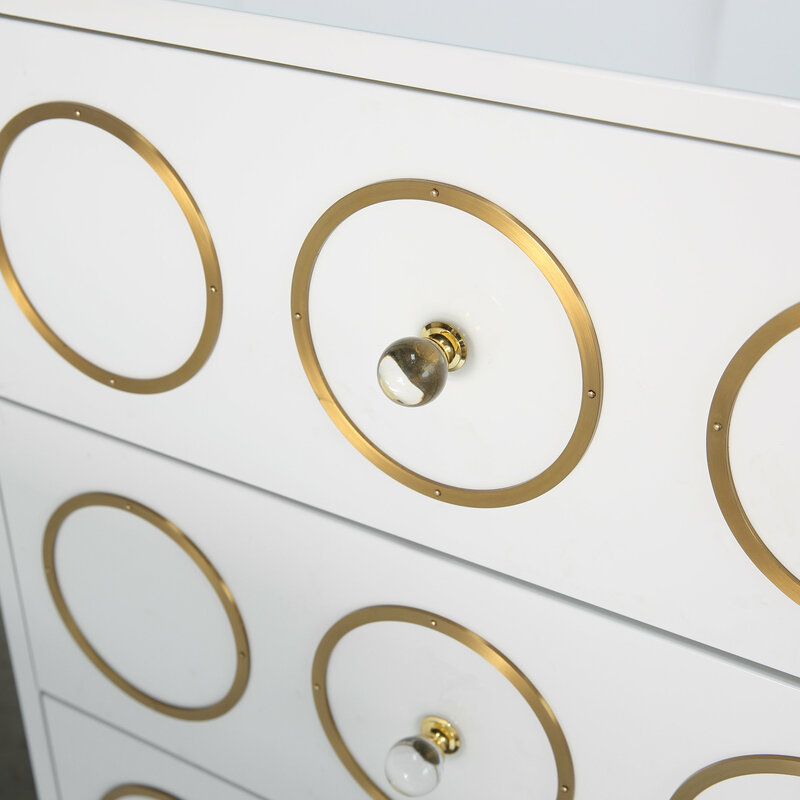 A mix of Mid-Century modern design and Hollywood glam decor the Kingly collection is born to make a statement. 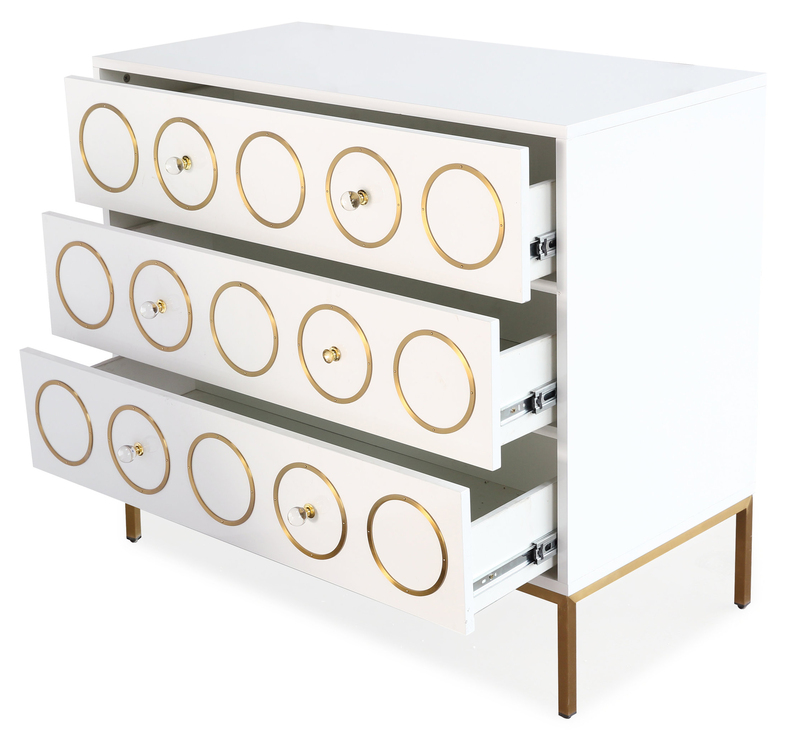 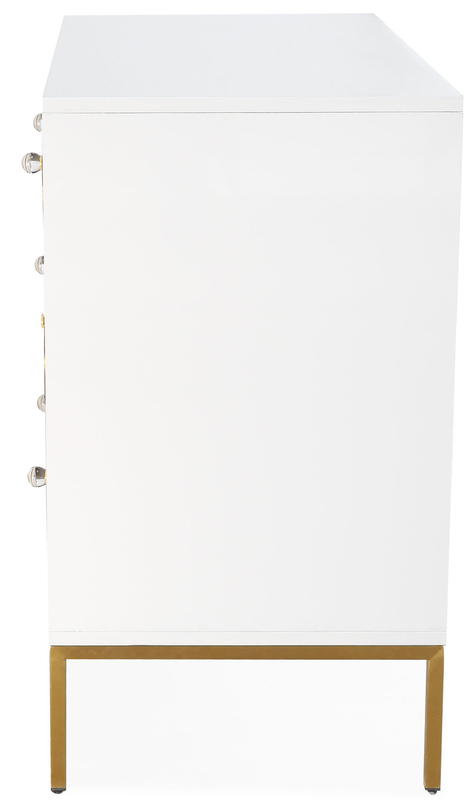 We love the brushed gold design and the lucite hardware against the lacquered white finish. 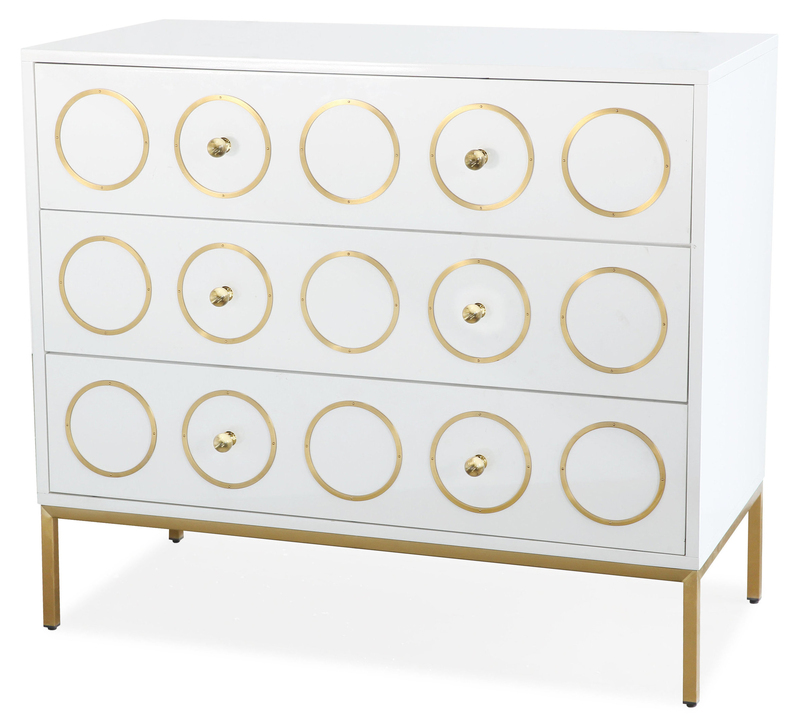 Add this piece to any room to crank up the glamour.